The recently released teaser of the movie proves why Anil Kapoor is still relevant in the Indian film industry. The one minute long teaser also gives an insight into the characters of Rajkummar Rao and Aishwarya Rai Bachchan. Anil Kapoor has been entertaining movie buffs for the last 35 years and the two-time National award winner is all set to do it again with Fanney Khan. The recently released teaser of the movie proves why the 61-year-old actor is still relevant in the Indian film industry. The one minute long teaser begins with audience cheering for Fanney Khan and Rajkummar Rao’s voice decoding the meaning of the name. What follows next are elegant and beautiful glimpses of Aishwarya Rai Bachchan. But the one who leaves us spellbound is Kapoor who seems to be a passionate musician. A couple of days back, the makers shared the first poster of Fanney Khan which had Anil showing his back to the viewers. Pictures of late Bollywood legends Shammi Kapoor and Mohammad Rafi peeping from the shoulders of Kapoor piqued the interest of many. Fanney Khan is an official remake of 73rd Academy Awards nominee Belgian film Everybody’s Famous! The satirical comedy film released in the year 2000, narrates the story of a young girl who is forced to be a musical star by her parents. 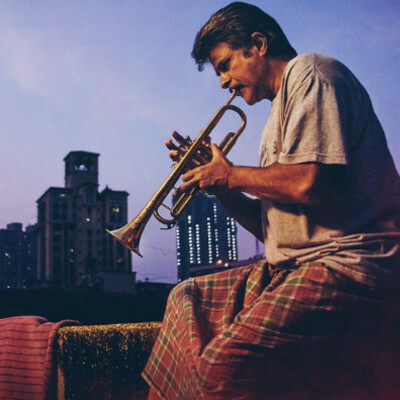 In the poster, Anil also appeared to be an aspirational singer as he carried a lunchbox in one hand and a trumpet in another. He seemed to be a contestant of a singing reality show titled Taal-n-Talent. Earlier in an interview with IANS, Rakeysh Omprakash Mehra had described the film as a “beautiful story” of a father and daughter and says a lot about music and women artistes. “Do we watch their bodies or hear their songs? Do we watch the glamour and skin? Are we watching songs these days or are we hearing them? A staggering 98.2 percent women in the world are subjected to body shaming… The film tries to tackle these questions,” he had said. Fanney Khan has a stellar line-up of actors including Aishwarya Rai Bachchan, Rajkummar Rao and Divya Dutta. If reports are to believed, Aishwarya plays the role of a music sensation and Rajkummar is her love interest. Directed by Atul Manjrekar and co-produced by Rakeysh Omprakash Mehra and T-Series, the film is scheduled to hit the theatres on August 3.